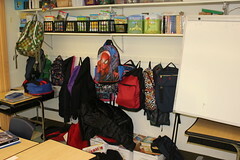 Wall hooks are often used as a convenient place to store backpacks during the school day, but can lead to hitchhiking bed bugs moving from one backpack to another. Providing separate storage units for each student will help prevent the spread of bed bugs. 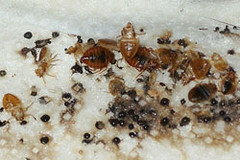 For more information on bed bugs in schools, visit blogs.cornell.edu/schoolchildcareipm/tag/bed-bugs/. New York City Department of Heath and Mental Hygiene.Ohio State University Extension Fact Sheet.University of Kentucky College of Agriculture.University of Nebraska-Lincoln Extension Lancaster County.Washington Post. 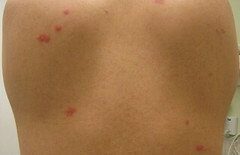 The itchiness caused by bed bug bites is very irritating and annoying. These red rashes are usually unnoticed at first, but once the itchiness starts, you will feel how necessary it is to have an instant cure. Insect bites are easy to cure. There are home remedy treatments and over-the-counter-drugs you can use to effectively get rid of these insect bites. Here are some helpful home remedies to treat bed bug bites. Clean the area of bite. 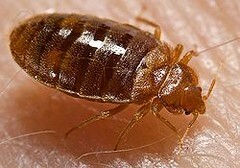 The first thing you should do in the sign of seeing bed bug bites on your skin is to clean the area of bite. Wash it with soap and warm water. Once dry, you can use some home remedies to cure the bite. Avoid from scratching the infected skin area to prevent further allergic reactions. You can use an ice pack to reduce the swelling and lessen the itchiness. There are natural and instant remedies you can use that are found in your home. Try using a baking soda mixed with water to make a sticky paste then apply it on the infected area of your skin. Using calamine lotion is also effective if you do not prefer using the baking soda mix. These external skin treatments are proven to be effective. 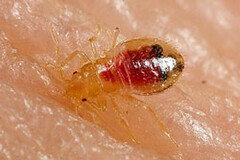 A clean home free of pests like bed bugs is possible when you have a mess-free house area. Raid your house and check pest’s prone areas and clean them. These pests usually stay on mattresses, couches, wall hangings, electrical outlets, and other hidden corners and areas of your house. Use products like sprays, insecticides, or fumigation for worse cases. You can also rely on preventive measures like using mattress covers to protect yourself from bedbug bites at night and possibly prevent any infestation. If the itchiness and rashes becomes worse, consult a doctor as soon as possible. Follow their medication for your insect bite treatment.Seeing your doctor will prevent you from having further health problems caused by these pests found in your home. Once those rashes and itchiness caused by these insects are cured, plan your strategy on how to get rid of these annoying pests. Research on tips and ideas about exterminating pests in your home for a more healthier lifestyle.